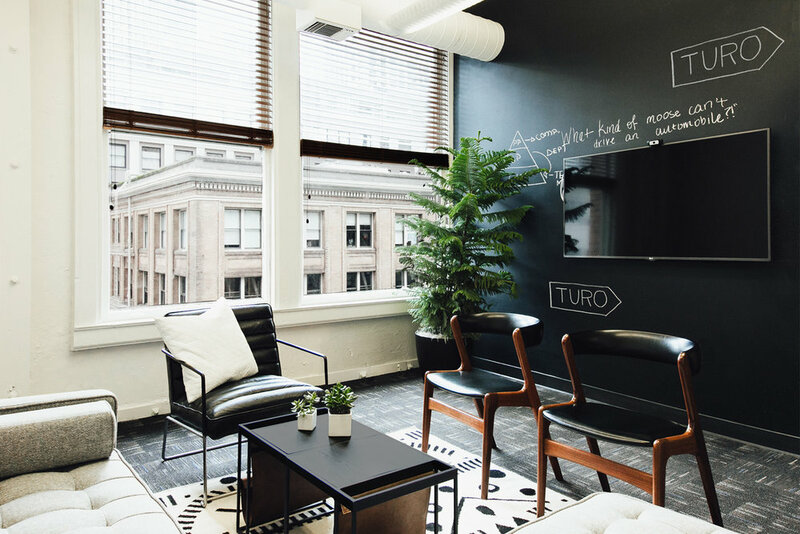 Turo, an innovative car-sharing company based in San Francisco, approached us to lead an office redesign to suit their bold new company rebrand. 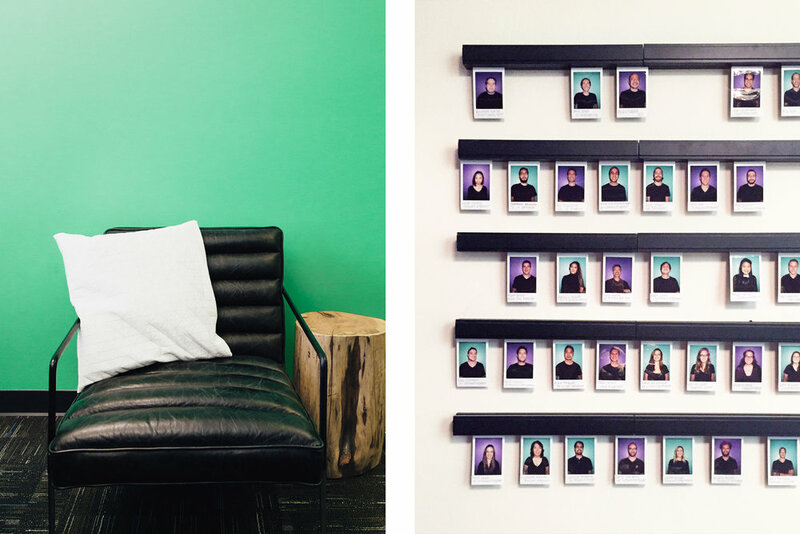 Faced with a tight timeline and a utilitarian office space, we sought to inject the new headquarters with a sense of adventure and irreverence. We opened up the floor plan to bring natural light throughout the office and create flexible spaces for work and play. Each collaboration room is named for a great American road, and each room's design suits its place with unique furniture and immersive wall graphics. Custom details are used throughout the space, from a custom headlight chandelier to lasercut wool felt acoustic hangings, to conference tables made of reclaimed redwood salvaged after the Napa earthquake.